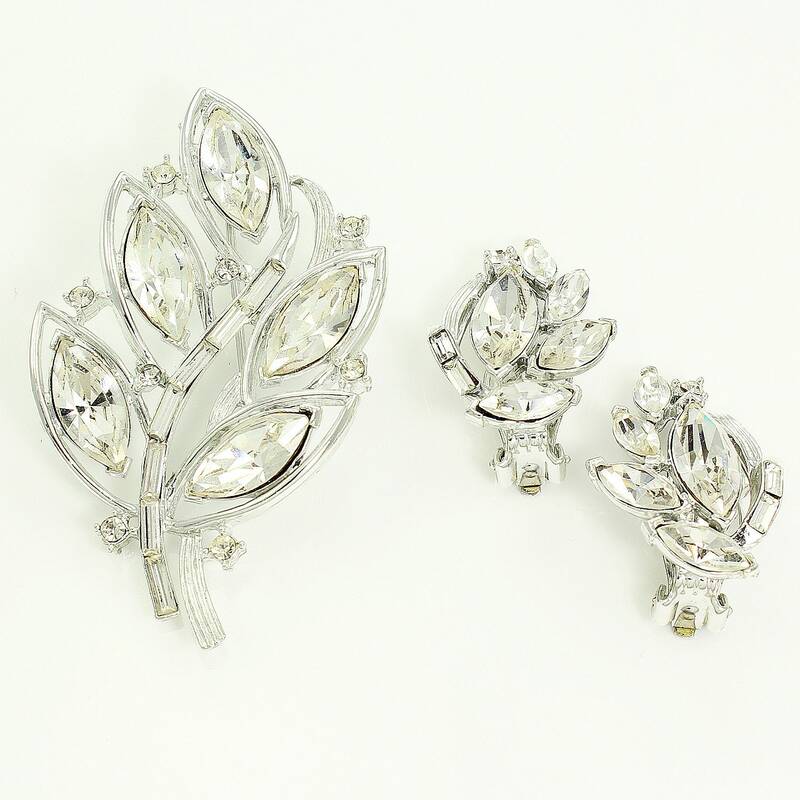 Vintage Kramer Clear Rhinestone Brooch and Earring Set.The leaf shaped brooch features clear rhinestones in marquise, baguette, and round shapes. 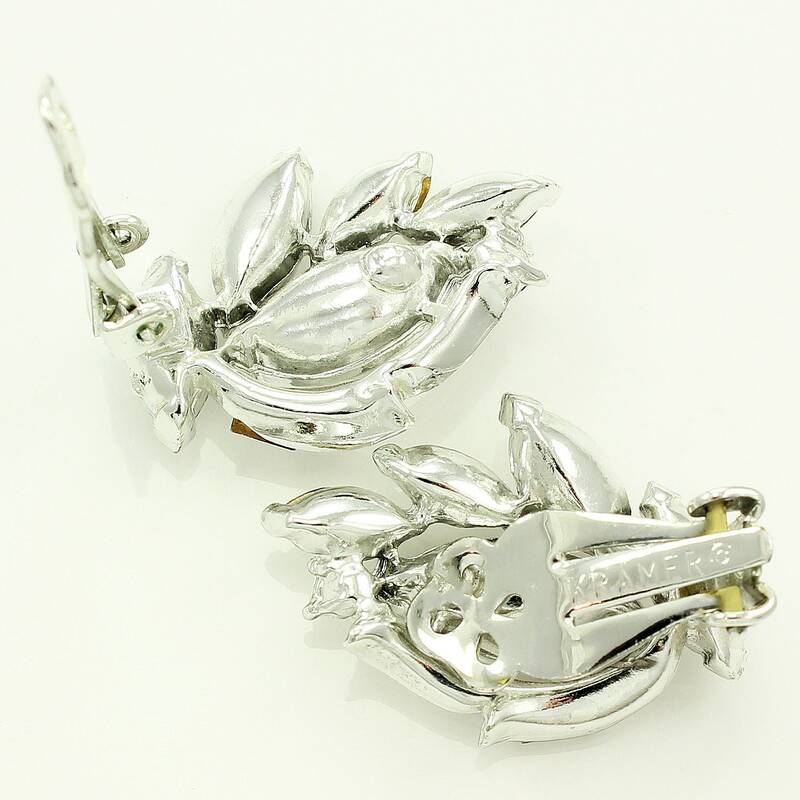 The matching clip on earrings are set with the same stones. 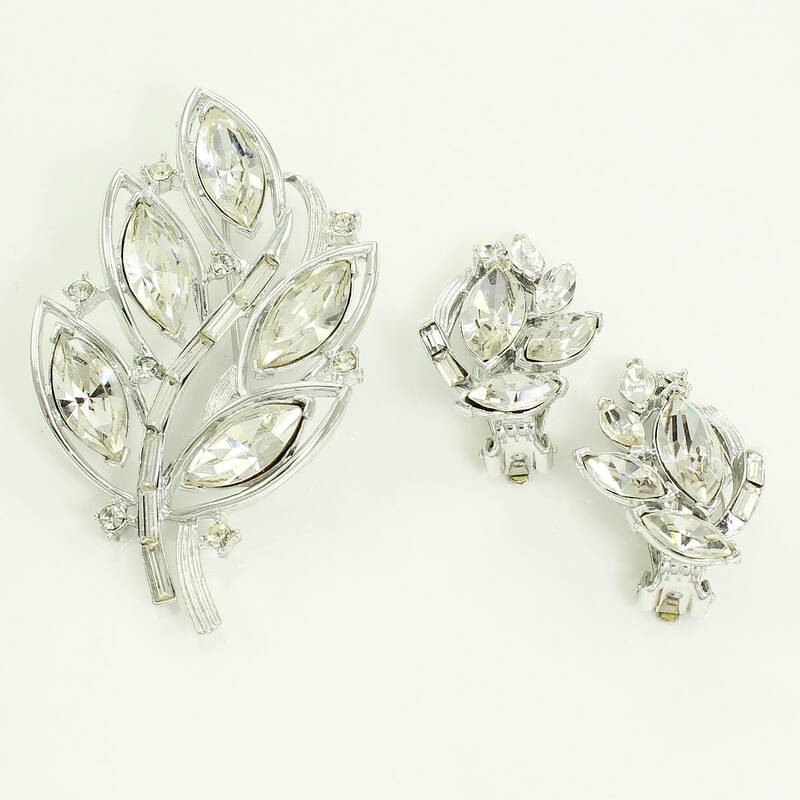 All stones are set in shiny silver tone. CONDITION: In overall excellent vintage condition, with no damage noted. the set was previously owned and worn. 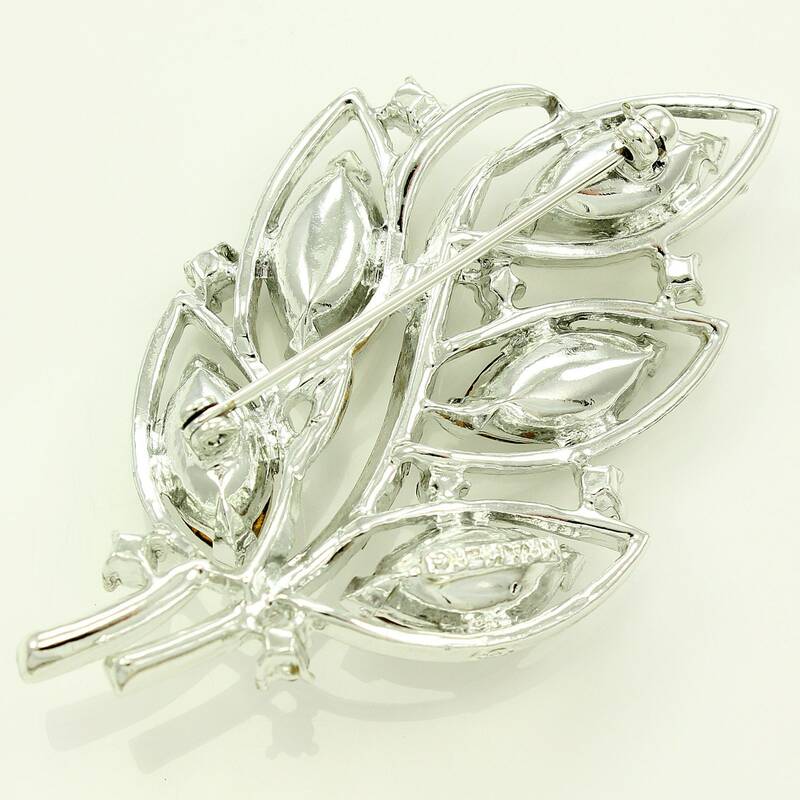 MEASUREMENTS: Brooch measures 2 1/2" long by 1 1/2" wide. 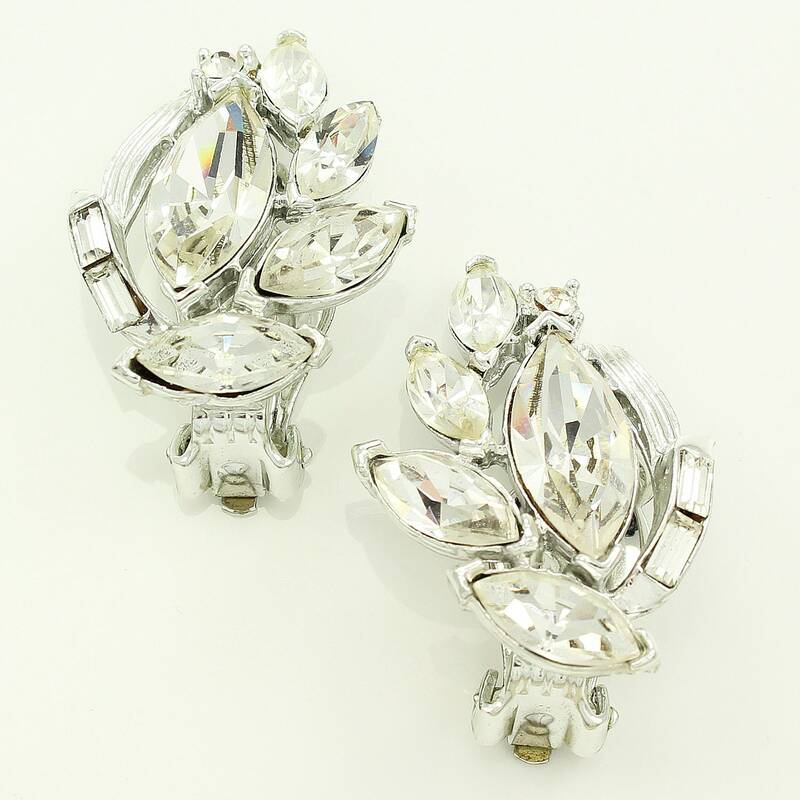 Clip on earrings measure 1 1/8" long by 7/8" wide.